NATO Secretary General Jens Stoltenberg on Tuesday confirmed NATO's political, military and security support for Libya. 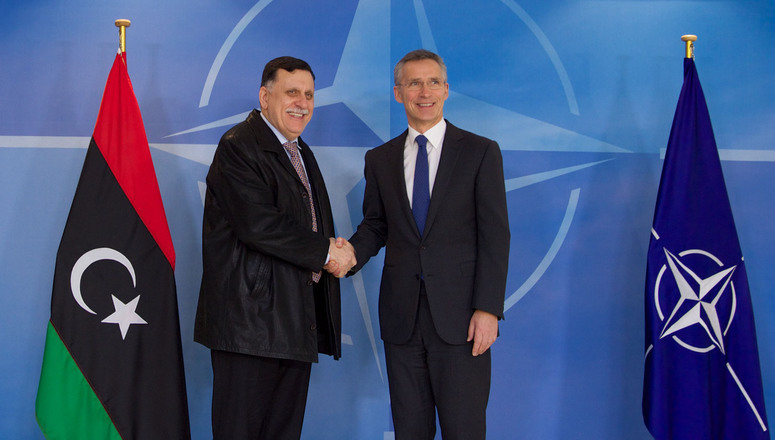 Stoltenberg made his remarks during a meeting with Libya's UN-backed Prime Minister Fayez Serraj at NATO's headquarters in Brussels, where the two officials discussed political and security developments in Libya. According to a statement issued by the PM's information office, Stoltenberg said that NATO supports the efforts made by the United Nations (UN) Envoy to Libya Ghassan Salame to reach a solution to the Libyan crisis. "The prime minister stressed the importance of security and military coordination and cooperation between Libya and NATO" related to "border security and the fight against terrorism," the statement said. Libyan security services struggle to train and equip their personnel amid years of turmoil.